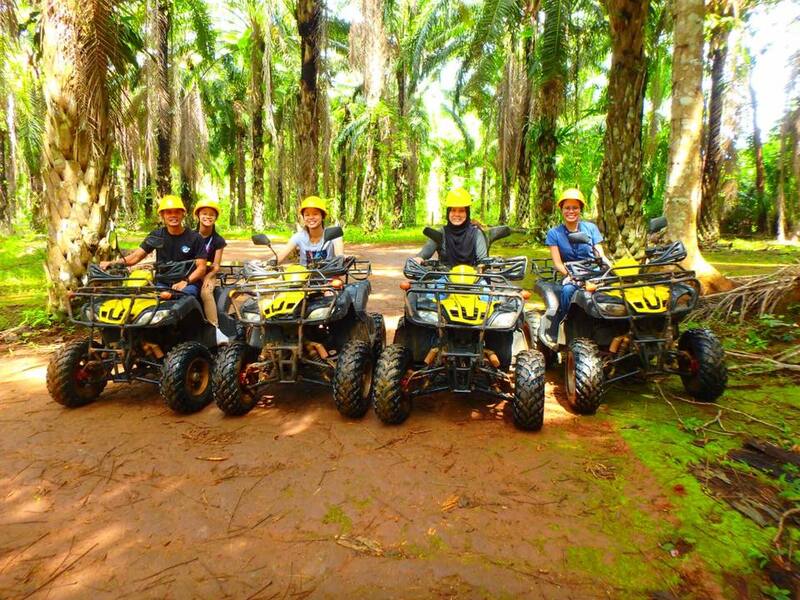 Enjoy adventurous ATV-ride in Krabi, while passing plantations in the beautiful jungle forest. 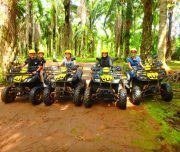 ADDITIONAL INFO Child 4-11 years old do not ride ATV alone, only together with parent. Wish for a private tour, please contact us for more information. 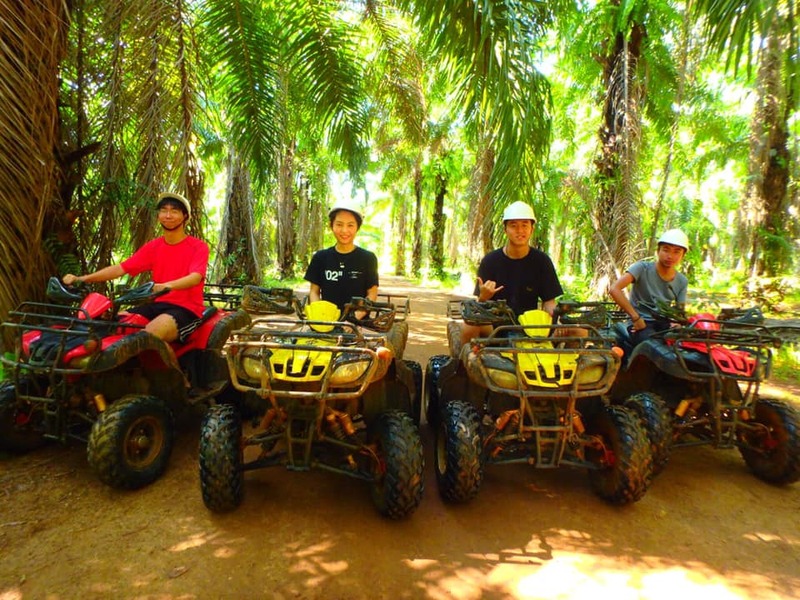 Pick up and drop of is provided for Krabi mainland only. 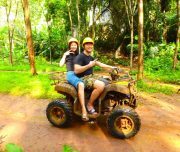 All areas in Krabi are free for pick up/drop off EXCEPT Ao Nam Mao and Khlong Meuang Area: this will have an extra charge of 100 THB/person. Kindly pay this in cash on spot. 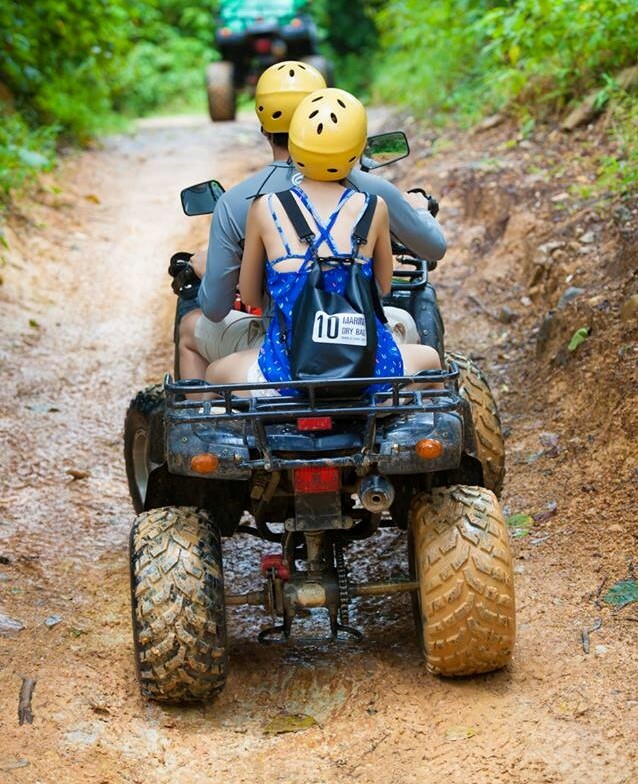 Get picked up at your hotel and we’ll bring you to our camp! 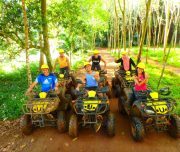 Once you arrive at the camp, our guide will welcome you and introduce a saftey briefing about the ATV-riding. 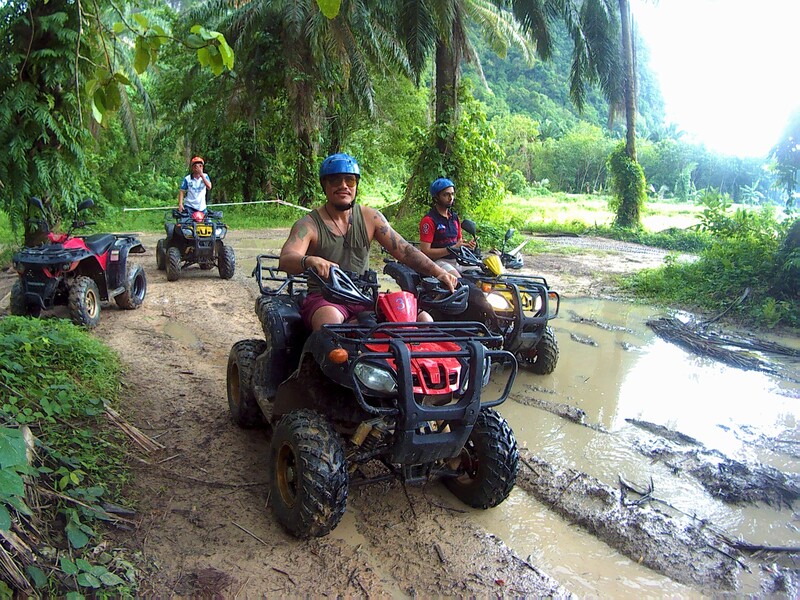 After the brief you will go through a short training session on how to use the vehicle. 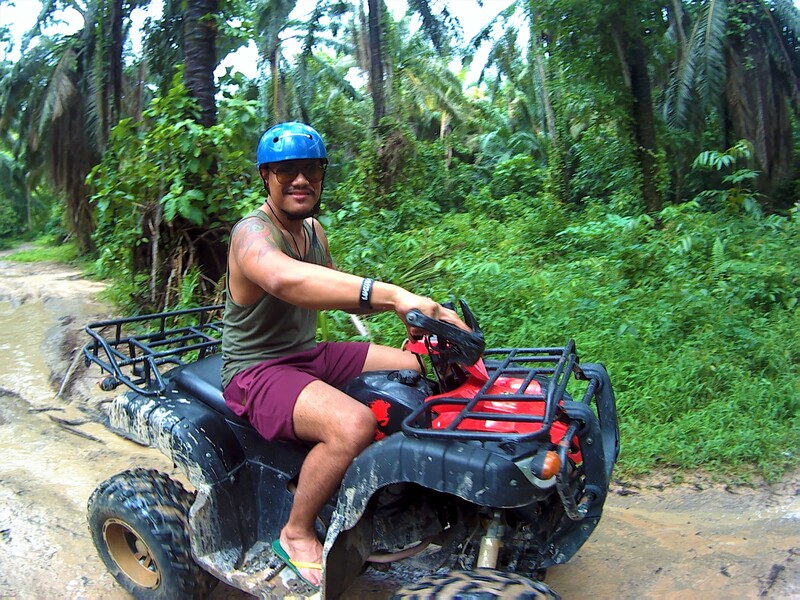 When you’re ready, it’s time to start the ride!! 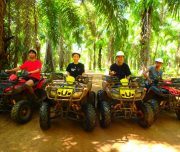 You will drive through the tropical forest with plantations of durian, rambutan fruits, palm trees and passing by mountains. 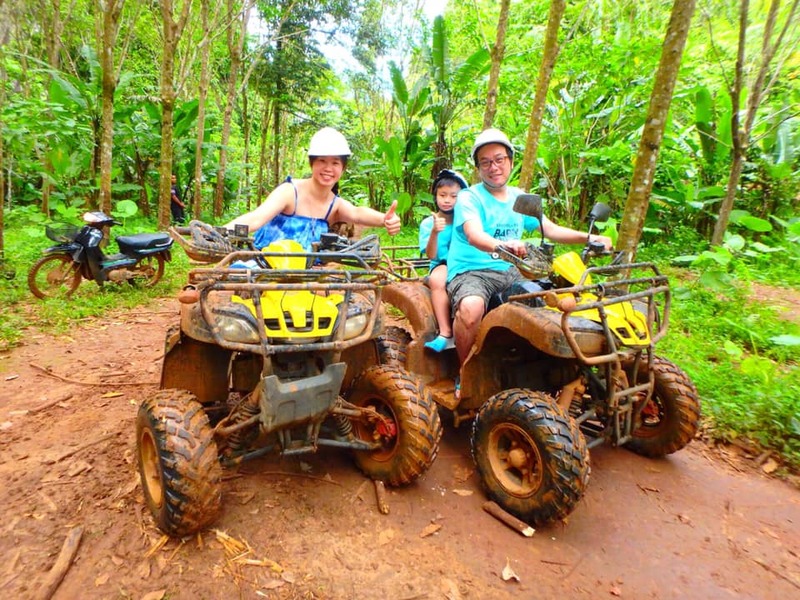 This is a perfect way to see the nature Krabi has to offer, while doing adventurous ATV riding! 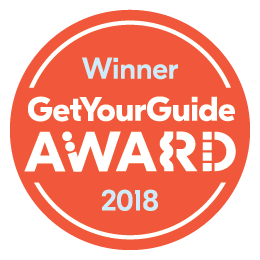 Our routes are suitable for the challenge ready drivers as well as the beginners. 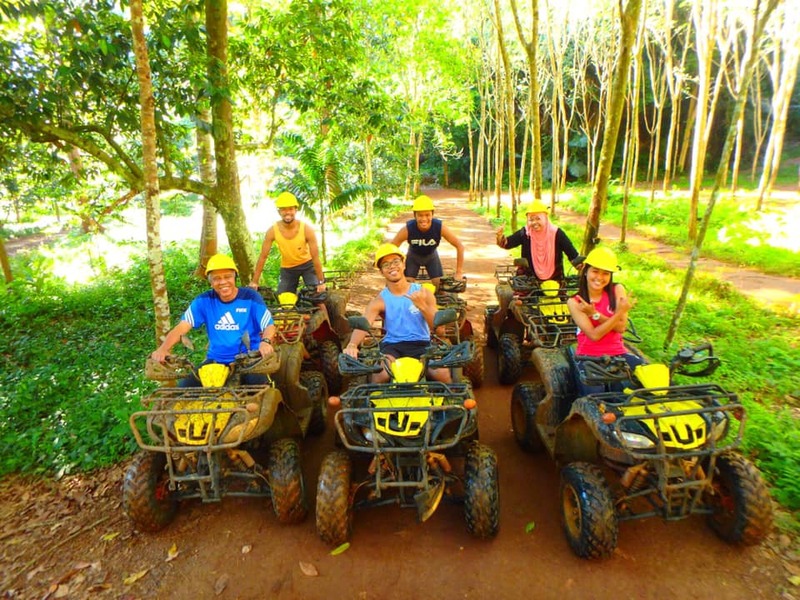 Our guides will check the abilities of the group and make sure everyone is safe during the ride. 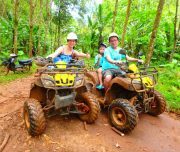 Package A stays mostly in the wooded palm and durian fruit plantations and with a lots of small tracks with bumps, tight corner and some big puddles to splash through. Package B will take you through the same area as package A but it will also bring you to some more demanding paths as long. 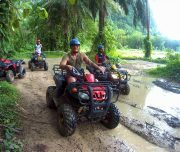 This tour is provided in all weathers, even during raining since some rain makes ATV riding even more fun! 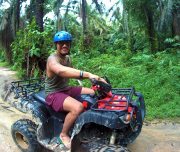 Please wear proper full covered shoes and clothes that you don’t mind getting muddy or dusty, sunglasses for the dust, special during the dry season. We will provide you with the mask to avoid getting dust into your nose and mouth. 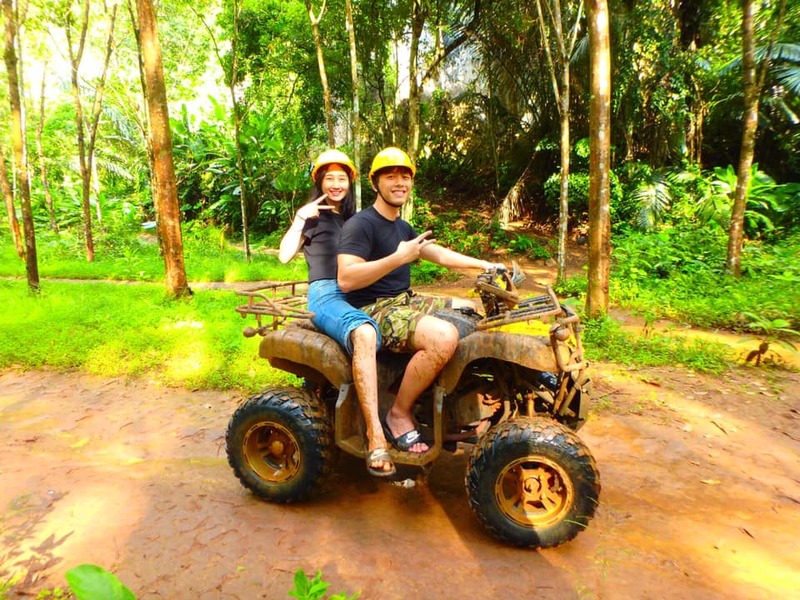 TIMING: We provide this tour every hour from 09:00 until 15:00. After booking, kindly let us know your wished timing.